iPhone X also known as iPhone 10 and ten. 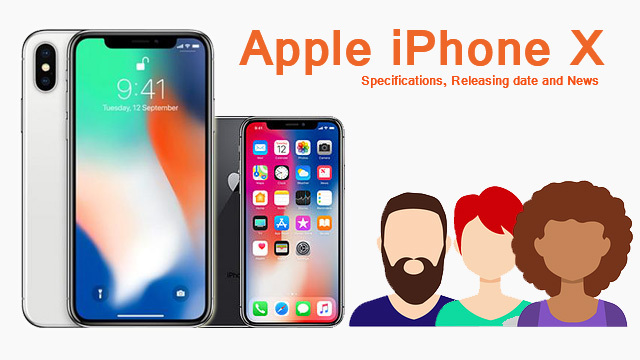 The Apple iPhone X / 10 announced in September 2017. It will decided to launch in November 2017. The Apple iPhone X is has a hexa-core A11 Bionic processor. The phone comes with a 5.80-inch Screen display with a res of 1125 * 2436 pixels with 458 pixel per inch density. 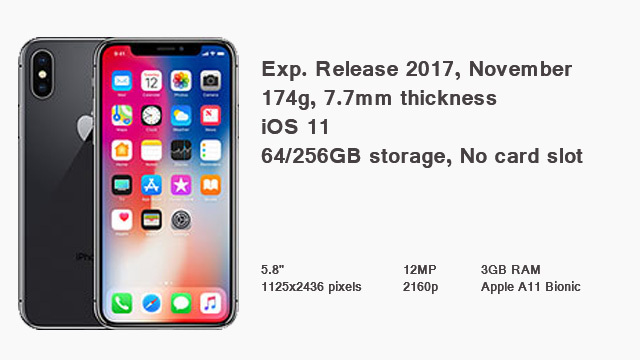 The iPhone X has fixed 64GB/128GB internal memory that cannot be expand. The phone include dual 12-MP primary camera on the rear and a 7-MP front camera for video calling and selfies. Also 3G and 4G, WiFi, Bluetooth, NFC, GPS connectivity features and Sensors Face ID, Gyroscope, proximity, compass, accelerometer, barometer, Ambient light sensor sensors are included. 64GB Read only memory, also available 128 for buy. Nice review you have shared. Apple iPhone X has better features.